The question “Can Shield keep up the momentum that it had in season 1?” has been answered, with a definitive YES! 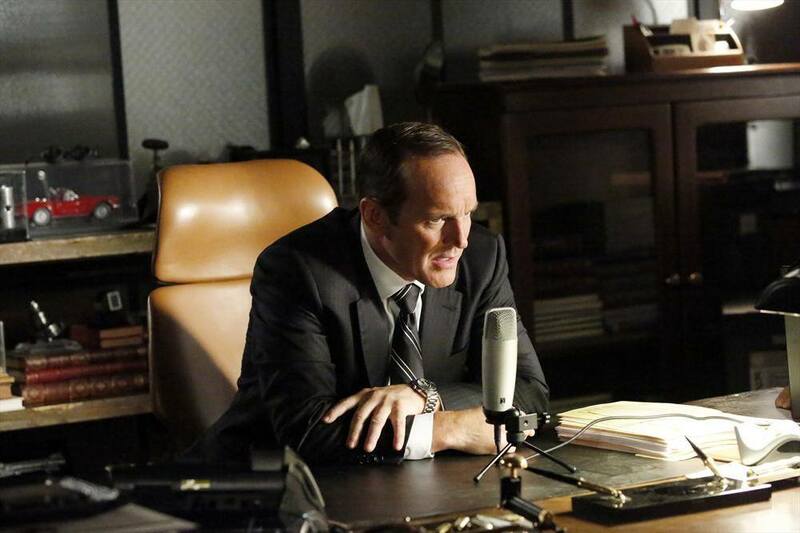 Coulson and his team are back, and ready to balance the scales of justice. Coulson is settling into his new role as director of shield, and has added a few more allies to his team. The episode opens by showing us how the first 084 was found, and the strange properties that it possessed. Meanwhile, in present day, a hydra member who possesses superhuman powers is hunting the 084 that was discovered long ago. We learn that Ward is being held in custody, in the base that the Shield team is using as their headquarters. Skye (Who is now rocking bangs) goes to extract information, pertaining to their mission, from ward. It seems that Ward is regretful of his actions, and wants to help in any way possible. However, Ward also seems like he has went completely insane, as he had become suicidal early into his term of imprisonment at the base. We now cut to Fitz, who is having a difficulty recovery from his head injury. He finds comfort in talking to Simmons, who we soon find out is a figment of his imagination, as she left the team soon after the accident. Not much is offered regarding the lingering mystery surrounding Skye’s father. It is only revealed that Ward has information on the subject, and is willing to share with Skye. Skye has no idea that Ward knows about her father, and who he is. General Talbot returns this season, and has achieved a hefty promotion. Coulson tries to explain Shield’s goal of reclaiming it’s good name, and protecting the citizens of the world. Coulson tries to gain Talbot as an ally, and a friend. However, Talbot’s arrogance and stubbornness prevails, and he refuses to assist Coulson. Needless to say, Talbot’s men capture the villain who is hunting for the antique 084. The hydra member is able to shift his molecules into whatever item he comes into contact with. He uses this power to escape the cell that Talbot’s men have him confined in. Unfortunately, the base in which he was contained also housed the 084 that he was so desperately searching for. The hydra member makes off with the artifact, after a battle with Coulson’s team, and heads into the distance. As the close of the episode, it is evident that what’s left of Shield is broken, and is a long way from being mending. Even Coulson and his team are somewhat broken, and distant from one another. We have Ward who is a traitor and is imprisoned. We have Skye who is having an internal battle with herself, over her origin. We have Fitz who is hallucinating, and struggling to return to his former self. We have Simmons who has abandoned the team. Finally, we have Coulson who is dedicating all that he has, to fight a nearly impossible battle to defeat Hydra and restore Shield’s structure. Coulson realizes that he and his team must become ghosts, and begin fighting an epic shadow war. Agents Of S.H.I.E.L.D. has made a name for itself in the short time that it has ran. This show is not one that simply rides Marvel’s name and has no solid storyline or content. S.H.I.E.L.D is quite the opposite of that. It presents never before seen storylines in the world of Marvel, and when it does present tie ins, it does so tastefully and artistically. I don’t avidly follow the Marvel universe, but I definitely have Shield on the top of my list, this season. So, for everyone wondering if Shield is going to fizzle out this season, I must say that you are completely and utterly mistaken. S.H.I.E.L.D is, if I may say, on “The Walking Dead’s” level, as far as TV shows go. Be sure to catch Marvel’s Agents of S.H.I.E.L.D. every Tuesday on it’s new time, at 9/8C! I really gotta watch this show!! It’s one of my top recommendations! Definitely worth checking out.